2018 VW Passat or Nissan Altima — Which Sedan is Right for Seattle? Whether you need a comfortable cruiser for that daily commute or something fun, safe and practical to run your errands in, the 2018 Volkswagen Passat is a great choice! Powered by one of a pair of outstanding engine options and protected by the People First Warranty, the 2018 VW Passat deserves a spot in your garage — especially if you're considering the 2018 Nissan Altima. Compared to the Volkswagen sedan, the Nissan Altima lacks some key safety and comfort features at an even higher base price! 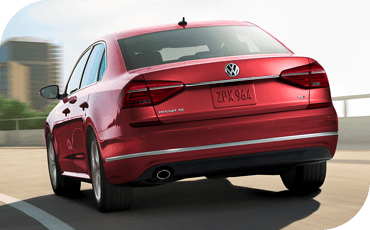 That's why we've compared them below side-by-side in key areas that matter to you: so you can see how the 2018 Volkswagen Passat offers you more. 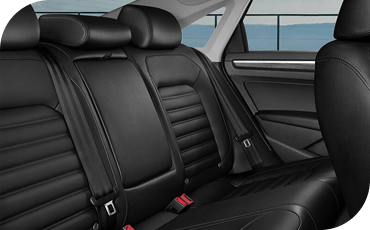 The seats of the VW Passat offer a level of comfort and customizability that you just don't get from the Nissan Altima. 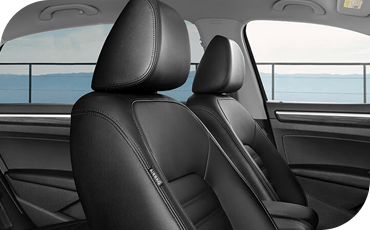 At the base level, you'll find that the 2018 Volkswagen Passat provides an eight-way adjustable power driver's seat, so you can find your ideal driving position. The 2018 Nissan Altima comes standard with six-way manual seats. If you're looking for heated rear seats, those are only available on the VW Passat; the 2018 Nissan Altima is only available with heated front seats. Both these vehicles offer a base model infotainment system with basic audio and bluetooth phone capabilities. Beyond that, they both offer an available infotainment upgrade complete with a larger, touchscreen display. 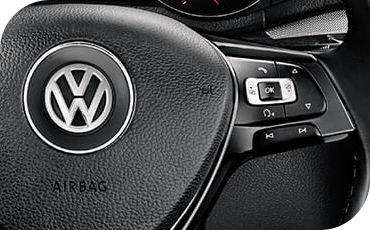 However, there are a few key differences that show the Volkswagen to be even better still. 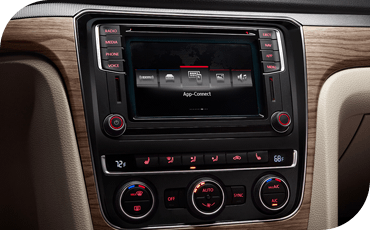 For one, the base model infotainment screen is a touchscreen in the 2018 Volkswagen Passat. You'll only get a static, button-operated display in the base 2018 Nissan Altima. The 2018 VW Passat also has some available technology features that you can't get on any Nissan Altima! Such features include automatic, rain-sensing wipers and the Park Assist parking aid. It's from behind the wheel that the 2018 Volkswagen Passat makes the strongest case for itself. It's truly a joy to drive, with a standard turbocharged four-cylinder engine and an available V6 upgrade. By contrast, the Nissan Altima also gets a four-cylinder engine at the base level — but it's naturally aspirated. That means the VW Passat will generate more torque, and earlier in the rev range for much improved acceleration! Upgrade to the available V6 engine in the VW Passat and you'll also get a dual-clutch automatic transmission with Tiptronic® for smooth power delivery and no lag. By contrast, even with it's V6 upgrade, the 2018 Nissan Altima gets a less-exciting CVT transmission. Your family will be well-protected in either of these cars, which earned five star overall safety ratings in government crash tests. But the 2018 Volkswagen Passat stands out in a few key ways. For one, the Insurance Institute for Highway Safety rated its LATCH child seat anchors and tethers, "Good." Meanwhile, the 2018 Nissan Altima received a "Marginal" rating for its child seat anchors, which the IIHS described as, "too deep in seat" and, "too much force needed to attach." Driver assistance features are an exciting automotive safety innovation, helping you keep track of changing traffic patterns and react to sudden changes. Both these vehicles are available with many such features as available upgrades — but even more of them are available on the VW Passat. The 2018 Nissan Altima can't be equipped with lane departure warning or lane keep assist, but the 2018 Volkswagen Passat can!